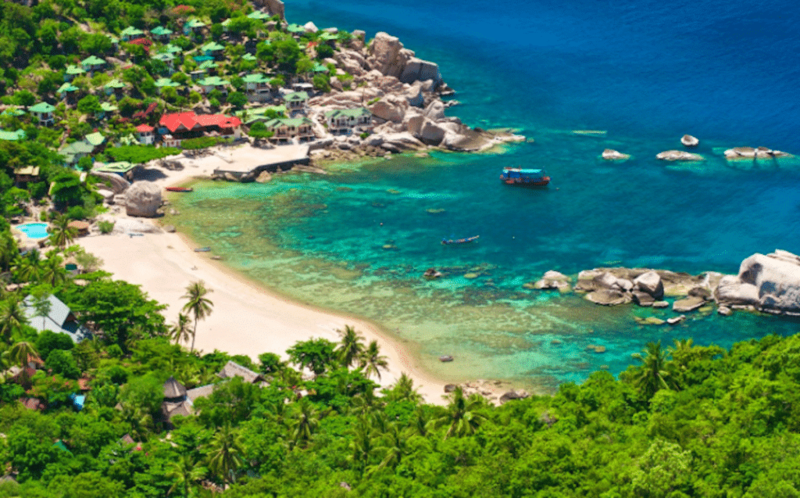 Koh Tao is blessed with sugary-white-sand beaches, that are fringed of tropical palm trees. 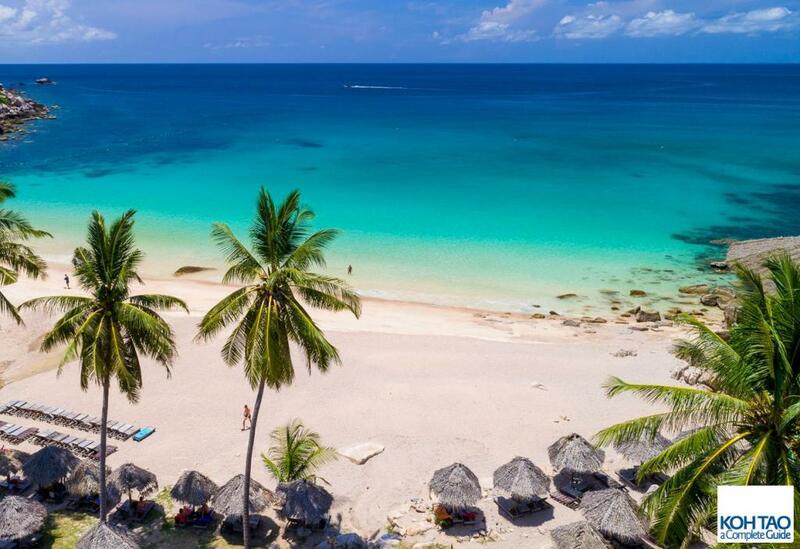 This list of the best beaches on Koh Tao are perfect for watching the sun travel across the sky, dipping in crystal-clear-water, indulging in a tropical atmosphere, snorkelling and swimming. There is epic beaches such as the Sairee beach, Mango beach, Shark bay and Nang Yuang island beach. 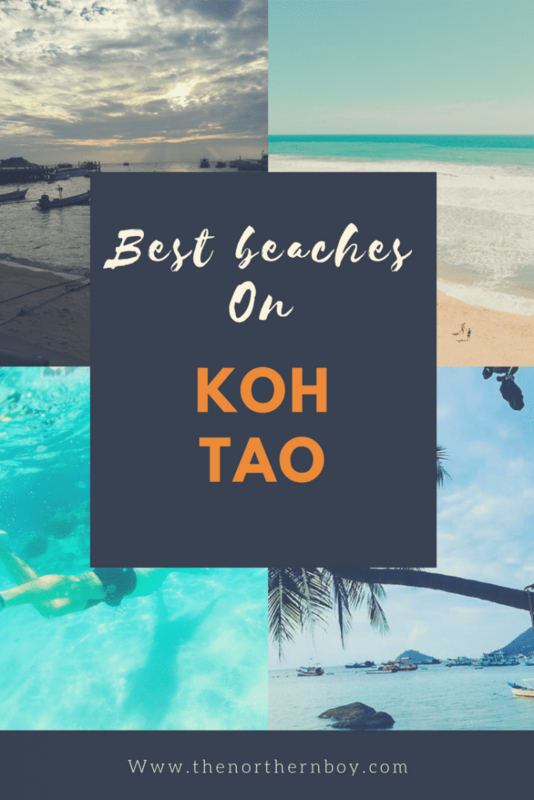 I spent 5 days visiting the top beaches on Koh Tao, therefore I have created this list of the most amazing beaches on Koh Tao for you to visit. The snorkelling and diving in Koh Tao is amazing. I did both and they are both sweet activities. We even hopped islands and did the best beaches on Koh Samui. 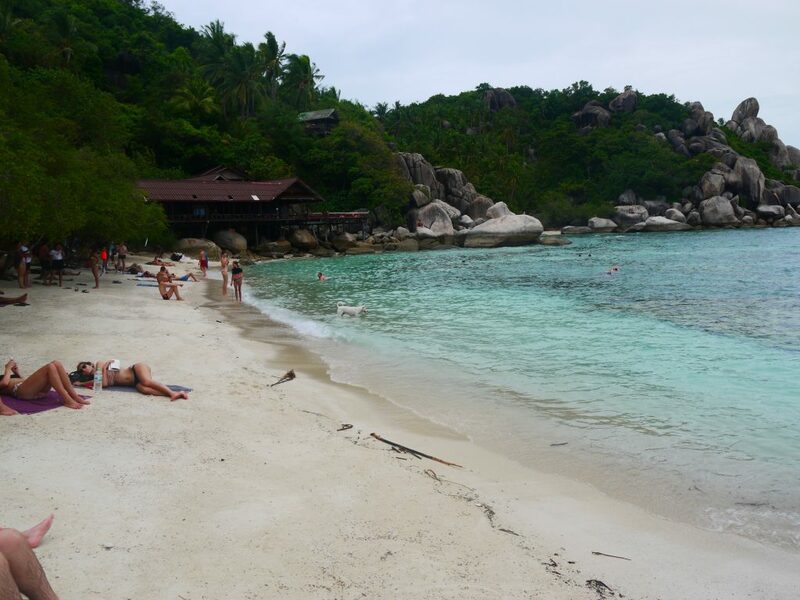 I am now going to share with you the best of the beaches I think you will enjoy on your visit to Koh Tao. I promise you will have a mega day adventuring and sunbathing on these epic top beaches on Koh tao. 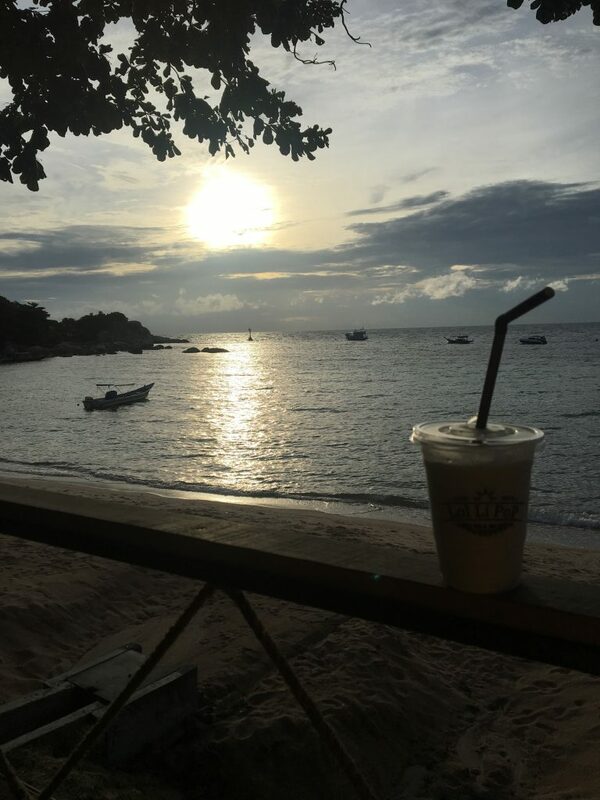 Okay what’s included in this top places in Koh Tao post? What are the best beaches on Koh Tao? There are plenty of Koh Tao top beaches for you to explore and each beach is unique in some way. 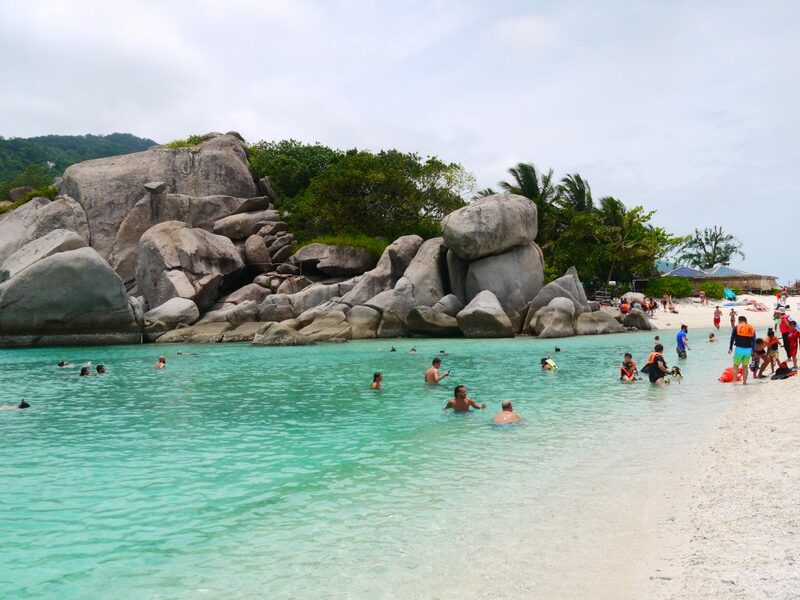 For example, there are small beaches on Koh Tao that give visitors a tranquil relaxed experience or you can visit the touristic beaches for more of an atmosphere. 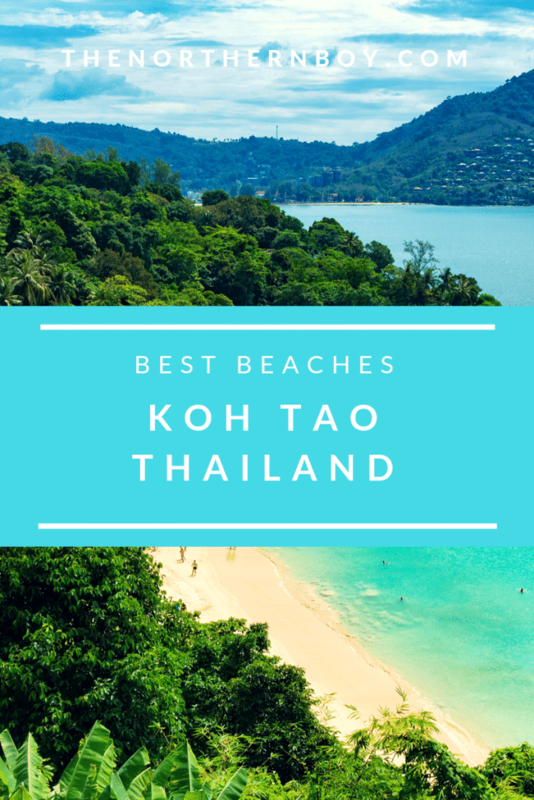 Nevertheless, I have created a guide for the sweetest, best 4 beaches on Koh Tao. Each one of these epic beaches are different in some way, but will provide a mega day for you. You could be backpacker, holiday maker or even on a honeymoon. Whatever type of visit you’re on to Koh Tao, you will for sure fall in love with at least one of Koh Tao’s fine beaches. The Nang Yuan island beach is undoubtedly, one of the most sweetest locations I have ever seen. An island that displays a stunning natural beach and amazing clear water. The beach also has one of the best viewpoints I ever seen. The beach’s location is actually on a small exotic private island and the beach is not the largest of beaches in Thailand. In fact it’s a really small beach, however it’s beauty packs a stunning punch. The beach cuts through the ocean and connects two viewpoints on Nang Yuan island. The beach is only around 20ft in width and around 150-metres long. It offers mega snorkelling and you wouldn’t believe how clear the water is! I actually saw more tropical fish here than the previous day scuba diving in Koh Tao. Where is the Nangyuan island beach? The island is located right next to Koh Tao, however you have to get a 20-minute taxi boat to the island. The cost of the water taxi will depend on your bartering skills or where you can get it cheapest. It is on average 900 Baht ($24) for 2/3 people. I bartered the price down to 700 Baht. 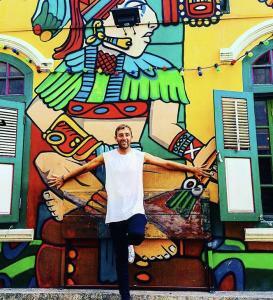 I did here someone say they got the price for 250 Baht, damn I missed that price. The taxi boat from Koh Tao to Nang Yuan will take you there and arrange to pick you up any time before 5 on the same day. Entrance costs 100 Baht ($3). This is because it’s a private island. You can’t take water bottles onto the island, you must leave it at the entrance. The island opens 10am till 5pm. Koh Toa’s freedom beach Not the biggest of beaches on Koh Tao, but it’s one of the coolest beaches. The beach is fringed by tropical bushes, which visitors take advantage of by using them for shade from Koh Tao’s hot sunshine. The beach will at busiest have around 30-40 tourist there, anymore than that and the beach would be overcrowded. Koh Tao’s freedom beach offers you a relaxed day in a more personal setting than some of the other larger beaches on Koh tao. Also, there is a restaurant, bar with cheap cocktails and you may find a local Thai playing the guitar. Where is the Freedom beach? Transportation on Koh Tao is cheap and you have a few options depending on the way you how you want to get around the island of Koh Tao. The easiest and cheapest (apart from walking) way to reach Freedom beach is with a scooter. It will take you around 10-minutes to drive to the beach from the main pier on Koh Tao. This top beach on koh tao is a cool, quirk and smallish beach. But so much fun and a great atmosphere can be felt on this epic beach. Taa Toh has a volleyball net, hammock in the sea and amazing water. This is definitely one of the coolest beaches on Koh Tao. 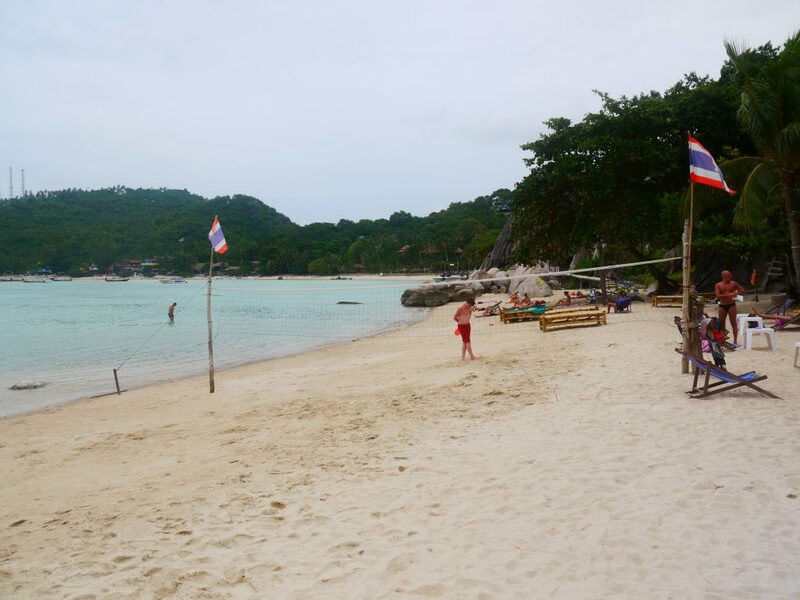 The beach doesn’t get busy, so its perfect for everyone including those of you who are on a family holiday to Koh Tao. You can chill out on this beach with a cocktail and relax with the cool kids. You can even get that perfect Instagram picture on the hammock in the water. Also, expect great acoustic music to be played all day long. If you’re a backpacker on Koh Tao, you will love the atmosphere here. 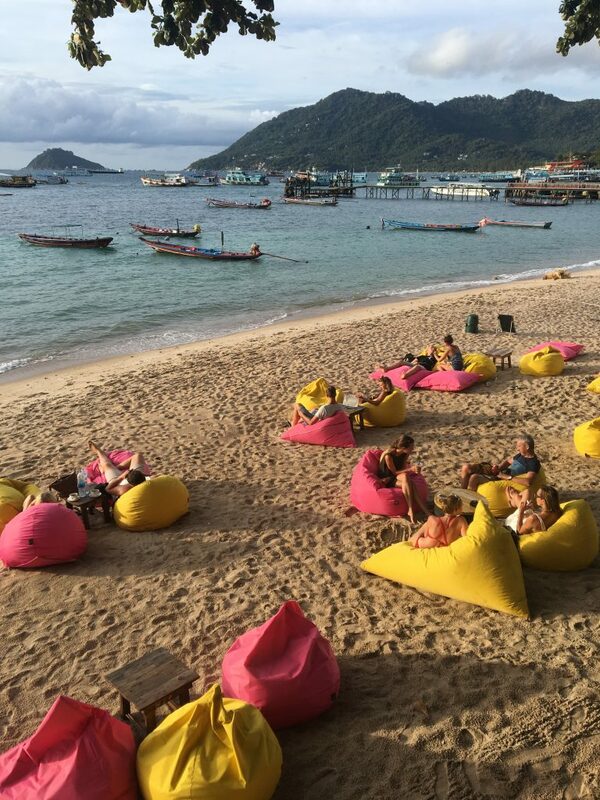 Where is the quirkiest beach on Koh Tao? The Taa Toh beach is around a 100 metres closer to pier than the Freedom beach, so if you are staying at one of the popular central accommodations on Koh Tao, then it won’t take you long to reach this epic beach on Koh Tao. There is a restaurant, however the food is expensive! My second favourite of all the best beaches on Koh Tao. This beach has it all! 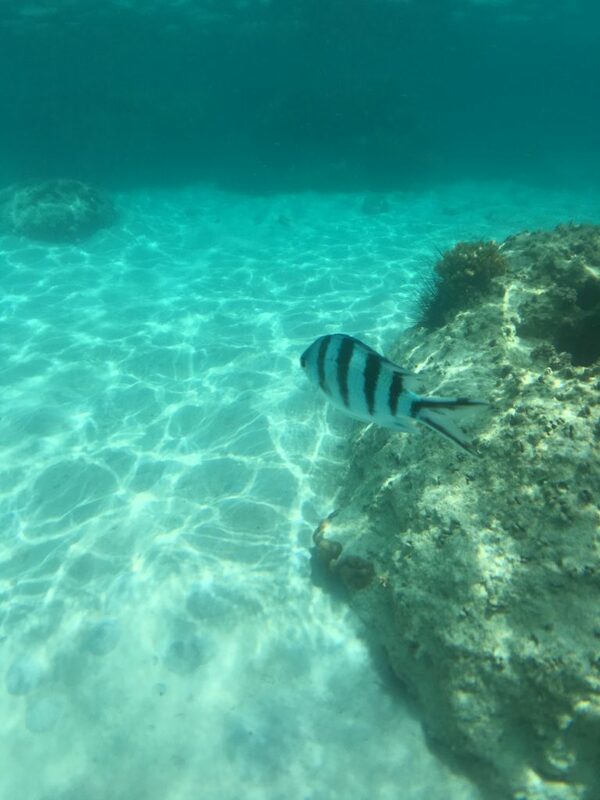 It is one of the best snorkelling beaches on Koh Tao, as you can snorkel with many cool species of fish and there is some good coral to see. This beach maybe the best swimming beach on Koh Tao, I had a mega swim here for an hour. If you’re looking for things to do at night in Koh Tao, you should check out the bars here. The beach has a good restaurant, plenty of good places for relaxing and plenty of opportunities for great photos. This beach is also in prime location for everything such as shops and bars, as it’s right next to the pier. Yes that’s right it is next to the pier, which is very touristy, however, this beach seems to be quite and offers you a mega day of relaxing, swimming or snorkelling. Where is this epic beach? If you are lucky enough you can have the chance to swim with a black tip shark, scary?! If you want a cool hidden beach on the amazing Koh Tao island, you should head for Sai Nuan beach on your visit. This is an epic secluded beach on the island. Also, This is a paradise location and popular among backpackers to the island. If you want a day of chilling out and just relaxing in the sun. Then this Koh Tao beach is one of the best. I would take some snacks down and a few beers and enjoy one of Koh Tao’s best beaches. Where is the Sai Nuan beach? 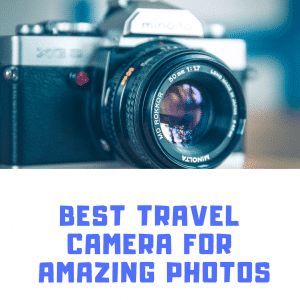 Do you want one of the best places on Koh Tao for Instagram? Check out Ao Tanot Bay on the East of the island. It is easily accessible by road, has superb facilities and has epic marine like for snorkelling. This is one of the best beaches in Koh Tao, Thailand for beginner diving courses, swimming and snorkelling. You can visit this epic beach for sunbathing or playing about in the waves and discovering awesome coral reefs. Remember to take your camera! Where is Ao Tanot Bay? It is located on the East side of Koh Tao. The name means ‘Deep Bay’, this swimming pool like bay is home to one of the most Instagram perfect beaches in Koh Tao. It is easy to get to if you have a scooter and easy accessible from the road. There is also epic coral for you to swim over and this is a popular dive site in Koh Tao. Also, if you’re looking for things to do with children on Koh Tao this beach has a sandy floor. Making it perfect for playing with the kids in the water. Are you looking for one of the biggest beaches on Koh Tao? The Chalok Baan Kao Beach is one of the biggest on the island. With its stunning white sands and long stretch, this makes it one of the best beaches to check out. If you’re looking for a good swimming beach on Koh Tao, you should check out this beach. There is plenty of awesome places to eat on this beach and you will certainly be able to get yourself a good drink on your visit! Also, there is some good accommodation if you want to stay a night or 2 on this beach. Want to do a long-tail boat ride? You can take a boat ride from Chalok Baan Kao beach, awesome. 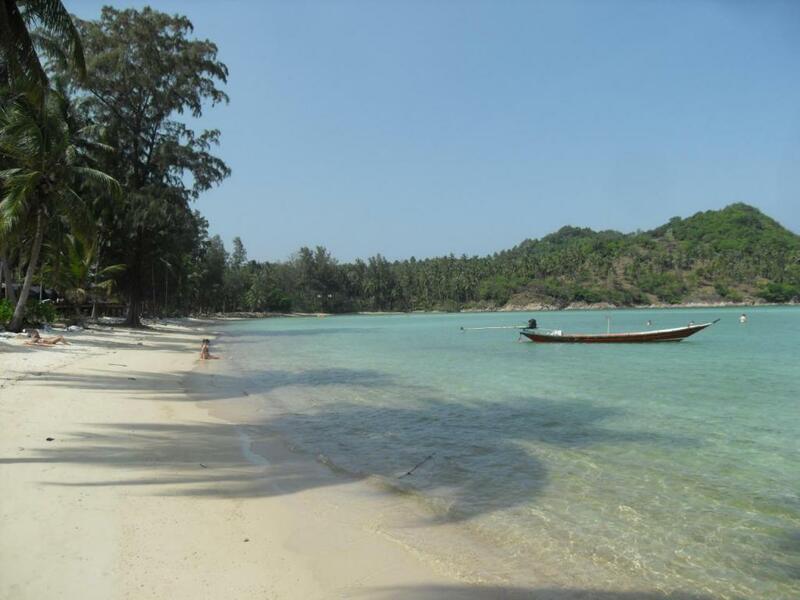 There is a few great Koh Tao snorkelling beaches, but obviously you want to visit the best one. I am going to start by letting you know which beach is the worse for snorkelling! Shark bay, I was expecting this to be the best but it was such a let down. 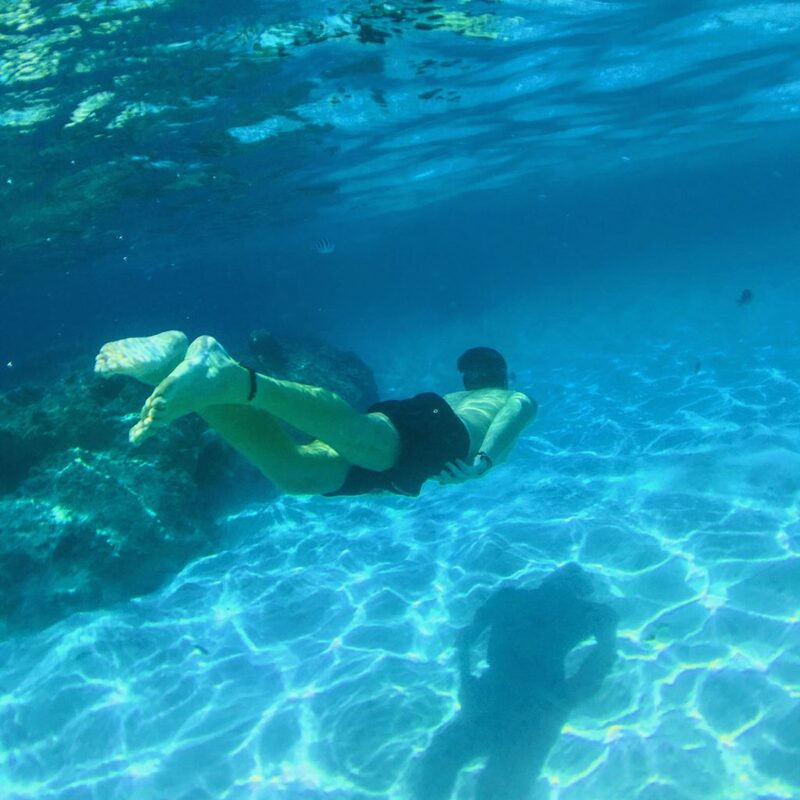 You have to climb over sharp coral reef in water that is just 2 foot deep in most areas. Also, you have to scramble out over 100 metres to get a glimpse of a fish and it’s a 100 BHT to enter. Shambles! So what is the best snorkelling beach on Koh Tao? Visit Nang Yuan island for tropical water, amazing fish and an epic day. This is hands down best snorkelling beach on Koh Tao. Also, the last beach I spoke about – Haad Ao beach, this is another awesome spot for snorkelling. Both these places are perfect for swimmers and non-swimmers. Accommodation in Koh Tao is good, so don’t worry about not being able to find the best accommodation in Koh Tao to suit you. 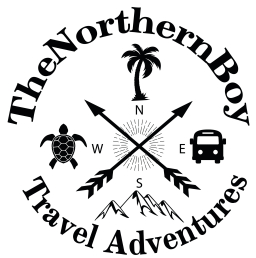 Also, there are plenty of places to stay in Koh Tao scattered all over the island, therefore there is always somewhere near to were you want to stay. For example, you might want to stay near the best beaches in Koh Tao. The Koh Tao Bamboo Huts are one of the more popular hotels on Koh Tao. The Bamboo huts on Koh Tao are really cool and you should try to stay here for one night on Koh Tao. 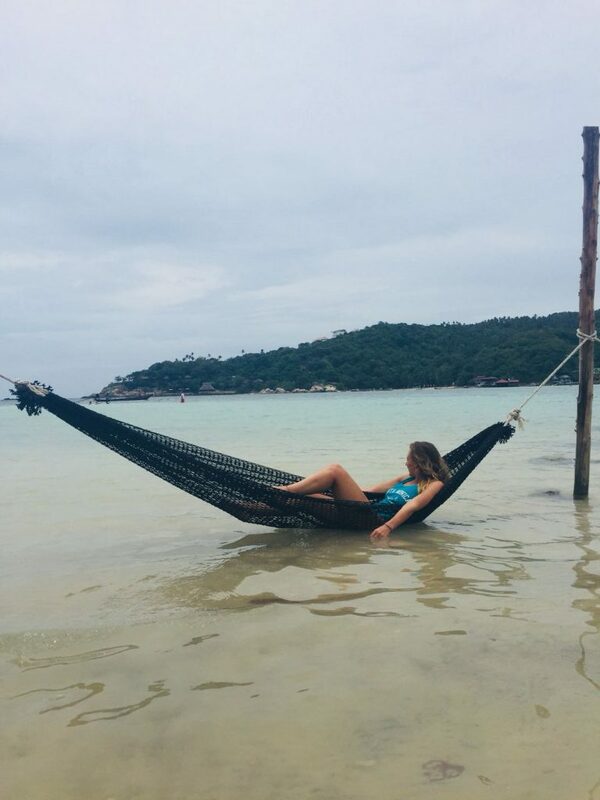 There are plenty of hotels in Koh Tao that are suitable for all budgets and there is even some Koh Tao hotels on the beach that are cheap enough for a backpackers budget. However, keep in mind that the cost of the hotels in Koh Taowill go up considerably when the season starts to get busy. If this has been helpful, please subscribe to my journey below. Thank you.